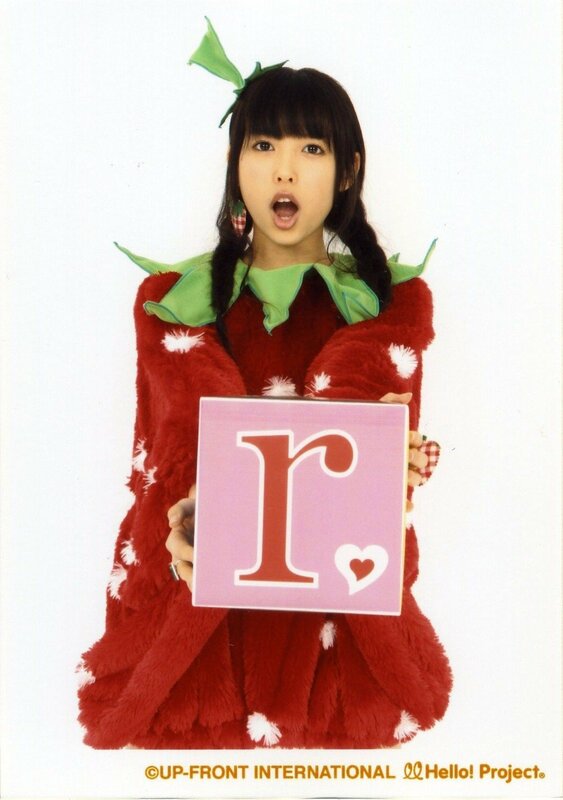 Today is February 5 and it is also C-ute’s Nakajima Saki’s 17th Birthday! HAPPY BIRTHDAY NAKKY! Oh and have you noticed Petitmoni V’s line up is similar to the original Petitmoni. 2 from a main group while one is a soloist (though in Goto Maki’s case, she’s a soloist as well as in a main group). This is one of my favorite performances of this song. Performed by Kago Ai, Tokunaga Chinami, Yaguchi Mari, Miyoshi Erika, Shimizu Saki, and Fujimoto Miki. Here’s another one. 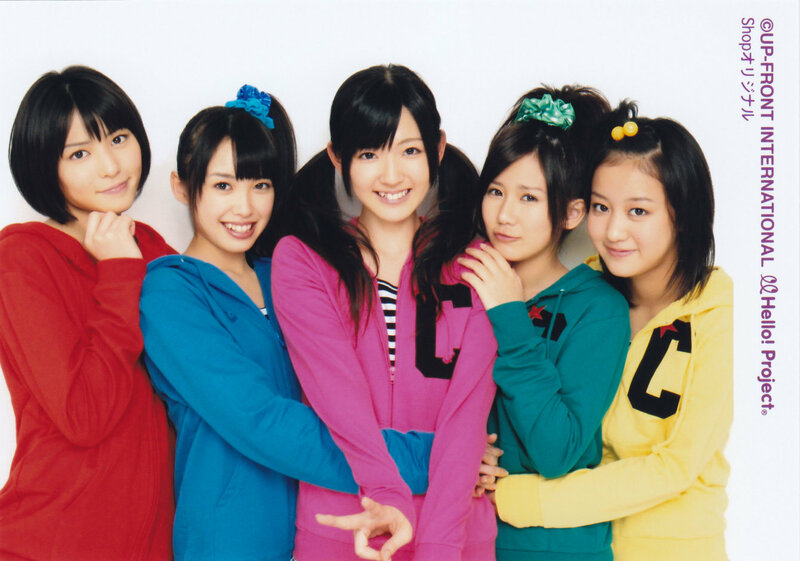 This time it’s from C-ute early days (skip Mirakururun Grand Purin). Performed by Airi, Chisa, and the only future Petitmoni member Saki. They did actually pretty good in this one. Here’s another one of my favorite version. Really ‘W’ can do it all. And with these 2, the song seems to be much fun. Now how about solo. Yes! there’s a solo performance of this trio song. Performed by Yasuda Kei along with Hello! Project Kids (the kids had little part though). Now it’s kinda creepy seeing Yasuda Kei doing the ‘desu ne’ part. Notice how Saki is also in this song. Heck she has a lot appearance in this one song doesn’t she. C-ute – Campus Life ~Umarete Kite Yokatta~ Live on West Wind! OMG! I’m dead! This made my boring day alive! OMG! First live performance of Campus Life ~Umarete Kite Yokatta~. And the single hasn’t been released yet! And the camera is like right in front of the girls! Something we don’t see in their concert DVD’s! But one thing sucked. They cut Airi’s “Suki Suki Suki” part. Anyway, here’s the live performance of Campus Life! Enjoy! The outfits are for C-ute’s new single “Campus Life ~Umarete Kite Yokatta~”. Let’s start things of with Arashi’s newest single Troublemaker. Released last March 3, this is Arashi’s 29th single (Hmm.. they started around the same time as Morning Musume but this is only they’re 29th??). The album has 3 tracks, the single Troublemaker which was used as Sho Sakurai latest drama Tokujo Kabachi. Yurase, Ima Wo which was used as Japan’s official theme for the 2010 Winter Olympics and Mou Ippo. The album as of the moment is number 1 on the Oricon charts and sold about 542,000 copied on it’s first week making Arashi the first group to reach 500,000 copies for two consecutive years since B’z. They already performed their song twice on Music Station but the first one was without Sho because of him covering the Winter Olympics. Okay so enough introductions, for my review of the songs I’ll start it of with Troublemaker. Troublemaker is that old Arashi song. It’s pop, it’s catchy, it’s ARASHIC. I have to be honest, this is one of my favorite singles from them. It just leave a mark in your head. But it also lacks something, something new. Arashi has been like this for the past years, the same pop song over and over again. Well the sales went down when they released Hadashi no Mirai which sounds like a song by Earth Wind and Fire. Now to the PV. I actually love how the PV was made, combining stop motion in it. 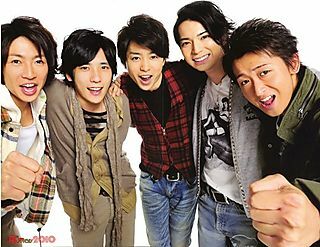 I don’t like their outfits it looks old on them especially on Ohno who’s actually in his 30’s now (old I know). Next is Yurase, Ima Wo. The song actually reminds me of Oh Yeah! The chorus is like catchy! I wished they made this like a double A-Side instead like Crazy Moon and Ashita no Kioku. Mou Ippo now reminds me of Sakura Sake because of it’s rock feel to it. I don’t think it’s really rock but you know what I mean. Mou Ippo is also a great single. Yeah all of the songs in this album can be a single if you know what I mean. I know I Know. A lot of you hate this album because well it’s mainly AIRI (I beg to differ). Even though there’s like 3 Suzuki Airi solos (Aa Koi, Zansho Omimai, and of couse Shock) there are still a lot of good song in the album. There are actually two songs that made me love this album. The Party and Kimi no Senpou. I love The Party because it’s that ballad song that I’ve been looking for in C-ute. Like that of Yakusoku Wa from 3rd Love Escalation, this song has that feel to it. Ballad and Melancholic. Yeah I prefer to call this song melancholic. It has that sad yet happy feeling on it. Kimi no Senpou is a song by Saki, Chisa, and Mai. I love how they added ad lib to the song. It’s like listening to a radio cast. Vocals were awesome, I mean Chisa has a powerful voice but why not give her a decent line in the singles! Why can’t H!P and UFA See her talent! She has the voice. Saki err… well she’s kinda using that cute voice in it again. Mai is improving, she’s not that little girly voice that we know from before. Well mainly this song caught my listening because of Chisa’s vocals. Done! Shigatsu Sengen isn’t actually like that song. I mean I like the chorus but the verse no way! I mean it feels like the girls are in no mood of singing at all. The Shochouu Omimai Moushiagemasu remix is actually pointless. They like added a video game sound on it I mean what’s the point?? I prefer the original one better. So my rating for this album would be 3/5! What Inspired Tsunku to do Shock! I think SHOCK’s explanation is here. OMG! The song is really a lot like SHOCK! with the 4 girls backing up and Airi taking the lead. I know Tsuugaku Vector is an Airi solo song. But do they need the other girls with her. They could get another song to open the Circuit both why choose a Solo song. So unnatural for a group to start a concert with a member’s solo song. Usually solo songs are sung at the middle of the concert. But this one is so unusual. ~Note: No I’m not an Airi hater. I’m more of a Tsunku hater because it’s all his plans to put Airi in the center and leave everyone else behind.